Man cannot live on trail mix alone. Make instant oatmeal "packets" before you leave home with oats, dried fruit, nuts, seeds, and some sugar. When you're ready for breakfast, light that campfire, boil water, and add the oats. Get the recipe. Blueberry muffins taste great all the time, but they're even better in the woods. Recipe here. Fresh fruit is a great touch, but not an essential. Get the recipe. Make the biscuit mix at home, then add water and heat when you're ready to eat! Get the recipe. 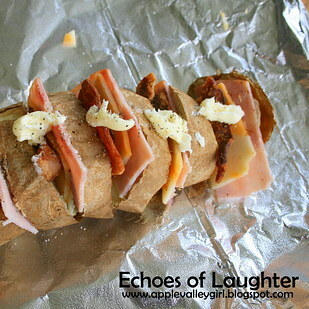 Slice potatoes and bacon, cook, add lots and lots of cheese. Get the recipe. Wake up and smell the eggs and bacon, no matter where you are. Recipe here. 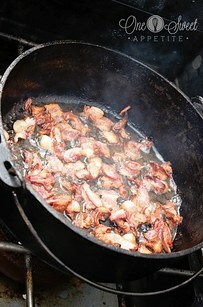 Bacon me crazy over here. Instructions here. 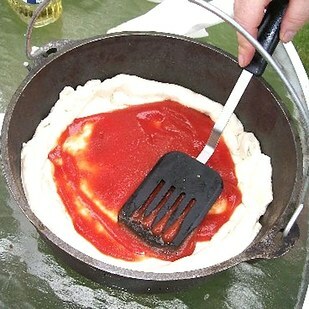 Scramble your eggs in a dutch oven while you use the lid as a tray for your biscuits. Instructions here. 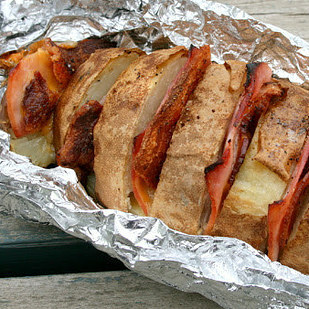 No need to put your mac 'n' cheese habit on hold while you're roughin' it. Get the recipe. Start with a base of premade pizza dough, then just layer up. Instructions here. Basically restaurant fare. Get the recipe. Just because you're in the woods doesn't mean your vegetable consumption has to plummet. Get the recipe. Wrap 'em up, throw 'em on. Get the recipe. 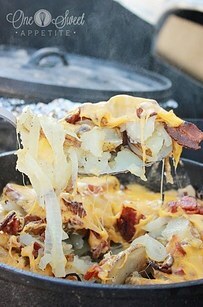 This cheesy, bacon-filled chicken casserole sounds crazy but really hits the spot after a day of hiking. Get the recipe. More undeniable proof that crescent rolls are always the answer. Get the recipe. 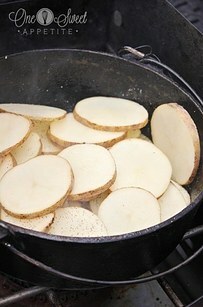 The pasta is cooked ahead of time, then mixed with fresh vegetables and creamy cheese and reheated over a fire. Get the recipe. All of your favorite things in a single skillet. Ingredient list here. 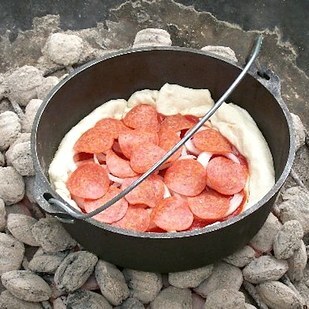 Wrap canned biscuit dough around fire sticks, or just use an empty can on a stick, then cook them over the campfire and fill with canned pie filling. Get the recipe. Vodka : Wine ratio is negotiable based on your camping ~situation~. Get the recipe. Toss blueberries on the grill, add biscuit dough, cover. The biscuits will cook, the blueberries will get hot and sweet and perfect, and your night will be complete. Get the recipe. Think of these as drunk s'mores. Get the instructions. All you really need is booze, honey, lemon, and some boiling water. Full instructions here. Taken to the next level with a little Cinnamon Toast Crunch. Get the instructions.